At Algoma we constantly strive for excellence in operations, including in the areas of security, quality and reliability performance. Algoma’s operations are certified to the International Safety Management (ISM) Code, ISO 9001 Quality Assurance Management System Standard, ISO 14001 Environmental Management System Standard and the OHSAS 18001 Occupational Health and Safety Management Standard. We strive to earn our customers trust and confidence with a proactive approach to service. 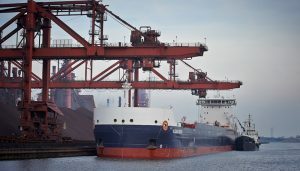 Algoma manages its fleets to maintenance principles and processes recognized by the flag state authorities of Canada, Bahamas, Vanuatu, or Marshall Islands, as applicable, and the respective Classification Societies, manufacturers’ representatives and Algoma’s insurance underwriters. Algoma participates in the marine security training programs of our customers, ports and dock facilities, along with law enforcement and marine regulatory agencies.